The Affirm Press Mentorship Award offers up to three writers developing exceptional new material the opportunity to work with members of our publishing team while in residence at Varuna the National Writers House. Affirm Press Publishing Director, Martin Hughes, is delighted that the award has already proved a worthwhile investment. ‘It’s an important part of the Affirm Press ethos to nurture local literary talent, and it’s extremely satisfying that this initiative so perfectly harmonises the needs of local writers with the needs of us as a publisher. The Affirm Press Mentorship Award is a rare opportunity for emerging writers to receive publishing insight and manuscript development. We are delighted that the Award has already got traction and looking forward to growing it more in the future,’ said Hughes. The Green Bell is a beautiful memoir that looks back forty years to a time of madness. Paula had just started uni in Canberra, during an era of great social and political upheaval, when she lost her best friend to a psychiatric institution and then suffered her own mental breakdowns. In an institution she met and fell deeply in love with a fellow patient, the poet Michael Dransfield, and they found shelter together beneath the branches of a lovely tree – their green bell. But their relationship didn’t follow a smooth road, and Paula was left to move forward on her own. The Green Bell is her story of grief and mental illness, and of love and survival. 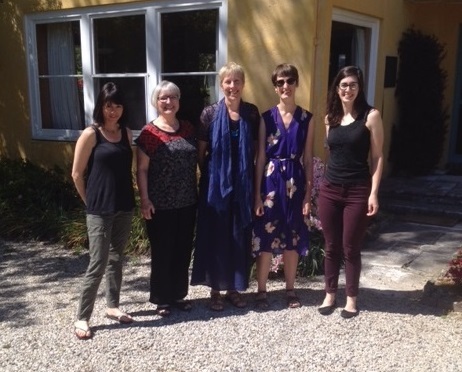 Writers awarded an Affirm Press Mentorship will be invited to attend a six-day residency at Varuna the National Writers House located in the world heritage Blue Mountains. The residency will take place between Monday 17 October and Sunday 23 October 2016 and includes independent writing time in your own private writing studio, accommodation and full board.